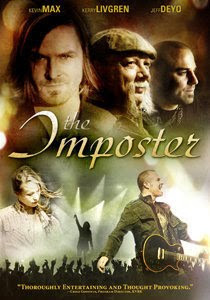 After watching The Imposter, a Christian movie starred by Christian singers Kevin Max of dc Talk including Jeff Deyo, former lead singer of SonicFlood, I began to love Downhere's songs. The story is about Christian rock's hottest band and that Grand design is heading to the top. Unfortunately the lead singer Johnny C is heading straight down. His wife and band mates find out that after singing about Jesus at concerts, he's living for himself off the stage. Losing his family and fame sends him on a downward spiral. When all the apidexin reviews glitters and fame are taken away, Johnny C begins to travel back home to find out whether his marriage can be mend together or not. Through all the mentoring along the way, will he turn his life around and follow the One? Well, the movie has awesome music and message if you haven't watch it. My favorites are from the Christian band Downhere.